Likewise, many who are fans of the naturally grown plant will tout reduced rates of abuse of other drugs; any decrease has been minimal and is not indicative of any downward trend in substance abuse in the state. If anything, it serves as anecdotal evidence that more people are hopping on the marijuana bandwagon. In addition, those who are fans of the drug may consider it to be safe now that it’s legal. Unfortunately, this is simply not the case. Much the same as other drugs used for medical purposes, like prescription opioid pain relievers and benzodiazepines, misuse or abuse of any drug can make for serious and even fatal consequences. Of course, with marijuana being legalized now, crime rates and arrests for it were expected to drop, but that doesn’t mean use of it is. Fiscally, it represents an advantage to the state’s crime budget, but these costs may be accounted for in other ways, such as the economic disadvantage of having more citizens using drugs. Current drug take-back programs are in place to collect excess prescription drugs. These attempts to deter drug abuse don’t go unnoticed, but whether someone follows suit and voluntarily disposes of their leftover medications is entirely up to the individual. That being said, not every drug floating around Colorado was dispensed by a doctor or pharmacy. Many are trafficked in from neighboring states that aid in smuggling operations to import drugs from across the Mexican border. Unfortunately, many don’t make it to treatment. In fact, only 2.5 million of the 22.7 million people who needed treatment for drug or alcohol abuse in 2013 received it.23 Those individuals who were left out of the rehab equation may have continued using, stopped on their own, or lost their lives to substance abuse. Aside from the type of treatment plan you choose, you need to consider whether public or private treatment is optimal for you. Obviously, private options afford more anonymity to clients. Individuals with high-profile careers or concerns of rumors of their addiction being spread around town may be more apt to lean toward private care. Public treatment is often less costly, which is another determining factor for most people who are dealing with substance abuse or mental illness. Insurance companies may not consider all private facilities to be in their network of providers. This is something to look into prior to committing to any particular place. Whether mental health is an issue or not, therapy is vital to reaching a full state of recovery from any dependence on drugs or alcohol. Options such as Cognitive Behavioral Therapy and Motivational Interviewing can aid in strengthening one’s resolve against relapse. These treatment modules are widely available across Colorado. Treating someone with an addiction isn’t a straightforward process that can be copied and pasted from one client to the next. Each person who is admitted to treatment presents individual circumstances that must be considered when a treatment plan is being developed. Is the individual suffering from a mental health disorder, as 42.5 million people in the nation do?38 When did the substance abuse begin and how much of the substance is being used regularly? Is the person engaging in poly-drug abuse? What kind of treatment experience does the person want? These questions must be considered and addressed. Holistic options that incorporate mindfulness meditation, yoga, and equine-assisted therapy are scattered throughout the state, in addition to more traditional treatment options. According to an analysis in the Denver Post, the state added 101,000 people in a single year, and much of that growth came within Denver’s city limits. People moved into Colorado even though job growth is down throughout the state, and they stayed in Colorado, even though the unemployment level is high. That population is expected to increase even more in the coming years.With high population growth comes high stress. People have to pay more for housing, and they have to fight for jobs. Commutes are longer, and lines at restaurants can be longer too. All of that stress could result in a number of very real problems, including substance abuse and/or addiction. Thankfully, there are a number of excellent treatment programs in Colorado that can help. These are the top 25 options found within the state. Harmony Foundation: Nature can play a role in the recovery process. Scenic views can calm the mind, and outdoor recreational activities can soothe the soul. Both are available on this 43-acre campus that is tucked in the heart of the Rocky Mountains. Residential programs that last for 30 days are available here, and there are programs for both adults and adolescents. Treatments are gender-specific, and they involve process groups, assignment groups, peer evaluations, recovery groups, and individual counseling. Exercise opportunities and acupuncture are also available. People who complete the program are given aftercare services in outpatient facilities in Colorado. Classes involving nutrition during recovery are also available to people who enroll. And there are programs made for families touched by addiction. The Harmony Foundation is a nonprofit organization, and the founders try to keep costs low. Insurance payments are accepted, and there are payment options available. To find out more, call (866) 686-7867. Star Colorado Drug Rehab: This organization provides a partial hospitalization program for addiction. People who enroll in this program get care five days per week, and that treatment runs from 8 a.m. until 5 p.m. It is a long day, full of activities that could help to turn the tide of addiction. People who enroll engage in yoga, group therapy, individual therapy, physical fitness programs, and more. Most people leave to head home at the end of the day, but some choose to stay within the walls of the facility overnight for added support. This is a very small program that offers individualized care for addiction in a serene and nonjudgmental setting. Intake specialists can explain the pricing and insurance details to interested families. Call (719) 357-2535 to find out more. Courage to Change: Addictions can change the brain, the body, the mind, and the spirit. This organization uses cutting-edge therapies to deliver real change. People who enroll engage in therapies like Cognitive Behavioral Therapy, experiential therapy, spiritual therapy, career rehabilitation, and LENS therapy. Care can be provided on an inpatient or an outpatient basis, and the staff can work with the criminal justice system, for people who have legal difficulties that stem from drug use. A lifetime of continuing care is available for people in need. This is a nonprofit organization that aims to keep prices low. There are financing options available too. Call (720) 400-8960 to find out more. Colorado Springs Drug Treatment: A treatment program that is right for one person may be wrong for another person. This organization helps by working as a connection point for a number of different treatment facilities. With one call, people in Colorado can talk to an addiction expert about the issues they are facing, and they can be connected with a program that is designed to provide the right kind of recovery assistance. Insurance payments are accepted. To find out more, call (720) 251-4738. Shadow Mountain Recovery: This organization offers addiction treatment programs throughout the Southwest. There are three in Colorado: One is in Denver, one is in Aspen, and one is in Colorado Springs. Each facility looks different and offers a slightly different rehab experience, but they all have a lot in common. Each program in the Shadow Mountain system is designed to offer a continuum of care. People who enroll are guided through the detox, rehab, and extended care phases of the recovery process. They learn how to tolerate stress and discomfort without drugs, and they learn how to overcome the temptation to use again. Individual, group, and family counseling plays a role in that healing. And in these facilities, fun and adventure plays a role too. People are given the opportunity to ski, snow board, hike, and walk their way to recovery too. Insurance payments are accepted, and there are financing options available. To find out more, call (866) 787-6699. Alano House: It can be difficult to recover from an addiction when you are surrounded by people who continue to make unhealthy choices. Alano House can help. This organization provides treatment for addiction on an outpatient basis, and it also provides access to sober living homes. People who engage with both programs can learn a number of vital sober skills, all while living in an environment that contains other sober people. For some, it is the perfect combination that leads to long-term healing. And it is all available in one place located in the middle of Colorado Springs. To find out more about pricing and insurance information, call (866) 520-1732. The Recovery Village at Palmer Lake: Stepping away from the cares of life can be one of the best ways to deal with an addiction. The Recovery Village provides that opportunity. This full-service addiction treatment organization provides a number of different programs that might be helpful or appealing for people with addictions. Detox programs, partial hospitalization programs, intensive outpatient programs, residential programs, and outpatient programs are all available through this organization. Services are provided on gorgeous grounds that offer privacy, safety, and serenity. There are walking trails, a gym, and a yoga studio to help people exercise through their cravings. Aftercare options are robust. A phone triage, followed by an in-depth assessment, starts the treatment process. Payments from insurance providers are accepted. To find out more, call (407) 960-2651. Triple Peaks Recovery Center: This recovery center is located in Colorado Springs, and it offers an intensive, six-month-long, partial hospitalization program for addiction. People who enroll get care in a communal setting, and in time, they form a close-knit community that provides support and education. Counselors and addiction specialists enhance that education through individual and group counseling. There are motivational therapies and support group meetings that can do even more to help. This is a perfect program for people ages 18-30 who want to engage in a long-term solution for persistent cases of addiction. Insurance payments are accepted. Call (888) 506-9818 to find out more. Valley Hope Association: This organization operates a number of treatment programs throughout the southern portion of the United States. In Colorado, the group operates an inpatient facility in Parker. There are 10 beds for medical detox and 40 beds for residential care. People who enroll have care from a dedicated nursing staff that is available around the clock. Every day, people who enroll engage in therapy and 12-Step support group work so they can learn more about how to combat an addiction. There are family therapy options available for people who want to include their loved ones in the learning process. Payments from major insurance programs are accepted, and there are payment plans for people who cannot afford care. Call (303) 841-7857 to find out more. Colorado Assessment and Treatment Center: This licensed treatment facility provides affordable outpatient treatment for people struggling with addictions to alcohol and/or drugs. Evaluations start the process, so the team can understand the trigger points for each patient’s addiction. Treatment involves individual counseling, family counseling, and psychiatric services that might include medication management. This holistic and comprehensive approach could be just right for adults with addiction issues. To find out more about payment and insurance acceptance, call (303) 757-6019. Ayuda: This organization specializes in providing treatment for a number of difficult community problems, including addiction. Counselors speak both English and Spanish, and they provide outpatient counseling sessions for people who want to find a different and better way to live. People who struggle with anger management and other mental health issues can also get help for those issues at Ayuda. To find out more about this private organization located in Colorado Springs, call (719) 459-6710. CeDAR: This organization provides a gorgeous campus of healing in the middle of Denver. People who enroll typically begin the healing process in a medical facility, so they have access to state-of-the-art monitoring tools as they go through medical detox. Then, people move into small cottages for the rest of the residential treatment program. Here, they live with a roommate, and together, the two work on the problem of addiction. Treatments offered include individual therapy, group therapy, psychiatry sessions, fitness programs, family therapy, addiction education courses, and more. There are specialized programs available for people who have addictions complicated by mental illness. There are also pain management programs available for people at risk of relapse due to pain. Payments from insurance programs are accepted. To find out more, call (720) 848-3000. Phoenix Multisport: This organization is not designed to provide formal addiction treatment, but it could still be considered vital for people in need. This organization offers a sober active community for people in recovery. Through participation in this program, people have access to fun and enriching activities that are also safe and sober. Those activities include biking, hiking, rock climbing, and dirt biking. In addition to sober activities, enrollees can tap into education, integration, and support that can help them to deal with sobriety challenges when they arise. The result is a person who is strong in sobriety and who feels great. This organization is based in Colorado Springs, and it is easy to get involved. Call (719) 434-3387 to find out more. The Raleigh House: This addiction treatment facility is located in Denver, and it offers residential addiction care. 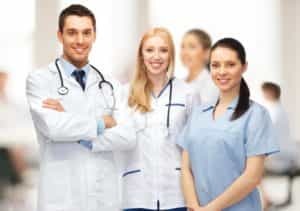 People who enroll access an organization that provides a high staff-to-client ratio, and that believes in using cutting-edge therapies to deal with addiction whenever and wherever possible. Treatment begins with an assessment performed by a psychiatrist, and it comes with individual counseling, group counseling, and support group work. Nutritional experts are on hand to offer customized meal plans, and there are fitness and recreational activities that can boost mental health and wellbeing. Family support and family counseling are also available. People with mental health concerns in addition to addiction can get help for those concerns here. All fees are required upon enrollment. To find out more, call (720) 891-4657. NorthStar Transitions: This addiction treatment center is headquartered in Boulder, right at the foothills of the Rocky Mountains. There are two distinct forms of treatment available for adults. In one track, people live in a sober living home with other sober roommates, and they spend time with a life skills coach for three hours per day, two days per week. People enrolled in this program also tap into traditional intensive outpatient addiction care, which may include Cognitive Behavioral Therapy, trauma-informed treatment, and Dialectical Behavior Therapy. Individual therapy and family therapy are also involved. A second track of care is available for young men and women who have completed a primary residential treatment program but who need a more individualized treatment experience that is enhanced by exercise. Payment from insurance programs is accepted. To find out more, call (888) 787-9377. Bridge to Awareness Counseling Center: This counseling center offers compassionate care for people with addiction. One highly dedicated and trained counselor runs the program, and this person provides addiction and mental health counseling services in a warm and inviting environment in Colorado Springs. People can make appointments for care, and there are evening appointments available for those who have work commitments and family commitments to meet. The counselor can also provide addiction intervention help, for families dealing with someone who does not see the need to make a full recovery. To find out more, call (719) 347-1642. Parkview Medical Center: This organization offers a 30-bed inpatient addiction treatment unit. It is made for people who are facing a serious medical or mental health crisis that has been caused by an addiction. People who enroll can access medical detox services, along with individual therapy, group therapy, dual-diagnosis support, medication management, and support group work. The team can provide specialized help for those dealing with chronic pain, and there are special tracks of care open to active members of the military. Insurance payments are accepted. To find out more, call (719) 595-7891. Stout Street Foundation: This not-for-profit organization has provided addiction treatment for people in Commerce City for more than 40 years. There are several different treatment options available, including a 28-day residential treatment program and a therapeutic community program. The residential program was developed to help people move through an addiction crisis and achieve sobriety. The therapeutic community builds on that success. Here, people move into a sober environment for 2-3 years, where they are surrounded by other people who are also sober. There are very strict rules that help the community to run effectively and that help people build up a sober life that will last. People who enroll must follow those rules, or they could be expelled from the program. Legal and medical criteria must be met before enrollment. To find out more, call (303) 321-2533. Crossroads Turning Points: For more than 32 years, this organization has provided alcohol and substance abuse treatment to 12 counties in southern Colorado. The organization runs on a nonprofit basis, and it attempts to help eliminate addictions and the homelessness they can cause. People who enroll move through a two-hour comprehensive assessment appointment, which allows the team to develop a clear picture of the addiction issue. Then, treatment plans are individualized to help people to recover. Plans might involve individual therapy, group therapy, and family therapy. There are residential, intensive outpatient, outpatient, and methadone treatment programs available. There are also services available for people in crisis due to addictions or mental health issues. To find out more or to enroll, call (800) 304-3758. Aspen Pointe: People with addictions living in Colorado Springs and the Pikes Peak region can get help through Aspen Pointe. Adults can access enhanced outpatient and standardized outpatient programs for addiction. Both involve attending a series of appointments in which individuals meet with counselors to learn more about addiction, and both involve utilizing the power of an addiction support group. Adolescents can also get help in an outpatient setting, although the course length and intensity can vary depending on the needs of the young person. Individual therapy and group therapy could be used in a teen addiction program. No private insurance payments are accepted, but Medicaid and TriCare payments are accepted for some enrollees. To find out more and to enroll, call (719) 572-6100. Center for Recovery: This treatment center offers care on an outpatient basis. People who enroll are treated to a safe, comfortable environment in which to explore their addictions thoroughly. Once that work is done, these people can find out how to develop coping skills so drugs are easier to turn down the next time. The center offers individual counseling, family counseling, and intensive outpatient group therapy for addiction. There are programs for both adults and children. All services are provided in Denver. Insurance payments can be utilized for some forms of care, for people living in specific counties in Colorado. Call (303) 694-7492 to find out more. White Bison: This 501c3 nonprofit organization was designed to assist Native American people struggling with addictions. This is a culturally sensitive program that is made to address the very specific concerns that native people feel as they recover, and it incorporates healing techniques that are sensitive to the Native culture. While the programs are made for Native people, those of other cultures are welcome to tap into the resources, and many people do just that. Services provided include group meetings, as well as referrals to addiction programs that have been proven to be sensitive to the needs of Native peoples. To find out more, call (877) 871-1495. Jaywalker Lodge: Adult men looking for help with relapse prevention can get it through this organization. On this Carbondale site, men have access to a sober living community that is built on the tenets of the 12-Step movement made famous by Alcoholics Anonymous. There are several different stages of care, and they all involve communal living. Men live and work alongside other men who also want to be free of substances of abuse. In some cases, men also tap into formal treatment programs that can help them move forward without addiction. Together, the men also go on a number of expeditions that are meant to stiffen their resolve to stay sober. The group goes on mountain hikes, rock climbs, and nature walks. The men also support one another and deepen their understanding of the addiction recovery process. Those who complete their treatment stay at the lodge can move into a modified outpatient program, which helps men learn how to live in the community without falling back into drink and drugs. To find out more, call (866) 529-9255. Red Rock Recovery Center: This treatment program provides extended care for addiction. That means people who engage with this program do not get care for a few days or weeks. Instead, they get care that lasts for months, if not longer. Care begins with a comprehensive assessment, and that is followed by treatment planning. Cognitive Behavioral Therapy, 12-Step involvement, problem-solving coaching, and family therapy may all play a role in this inpatient program. Equine therapy is also available, and there is an alumni program open for people who complete the program and need to stay in touch with sober peers. Insurance payments are accepted. To find out more about this Lakewood program, call (888) 719-1097. A Turning Point: Addictions can force terrible decisions. A Turning Point helps to change that. This organization provides a number of services that might be key to people who have addictions, including DUI education, drug testing, relapse prevention courses, domestic violence counseling, and minor-in-possession education. All of the resources are provided in an environment that is safe and friendly. The staff works to stay abreast of the latest in addiction and recovery research. Payment is expected before treatment is provided, and no insurance payments are accepted. To find out more about this organization in Colorado Springs, call (719) 550-1011. This is not meant to be an exhaustive list of all of the treatment programs available in Colorado. There are literally hundreds of providers who would love to help people with addictions to get well. But this list can work as a motivational tool for people living with addictions. Clearly, there are organizations that can help. Families just need to access that care. Nelson, S. (2014 Feb 10). “Marijuana Legalization Increasingly Popular in Colorado, But Smoking Pot Isn’t.” U.S. News. Accessed September 13, 2015. “State & County QuickFacts.” (2014). United States Census Bureau. Accessed September 13, 2015. “States in Brief: Colorado.” (n.d.). Substance Abuse and Mental Health Services Administration. Accessed September 13, 2015. “Colorado Drug Control Update.” (n.d.). White House. Accessed September 13, 2015. 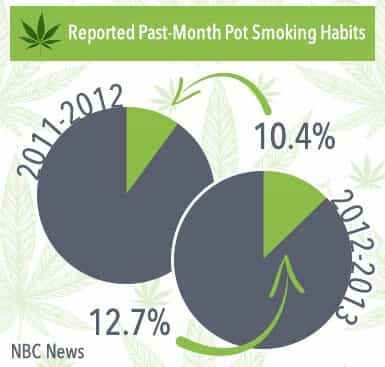 “Marijuana Use Has Increased in Colorado: Study.” (2014 Dec 27). NBC News. Accessed September 13, 2015. “The Dangers and Consequences of Marijuana Abuse.” (May 2014). Drug Enforcement Administration. Accessed September 13, 2015. “Drunkest Cities.” (n.d.). Daily Beast. Accessed September 13, 2015. “Effects of marijuana – with and without alcohol – on driving performance.” (2015 Jun 23). National Institute on Drug Abuse. Accessed September 13, 2015. “The Dangers and Consequences of Marijuana Abuse.” (May 2014). U.S. Department of Justice. Accessed September 13, 2015. “State Estimates of Adult Mental Illness from the 2011 and 2012 National Surveys on Drug Use and Health.” (2014 Feb 28). Substance Abuse and Mental Health Services Administration. Accessed September 13, 2015. Bekiempis, V. (2014 Feb 28). “Nearly 1 in 5 Americans Suffers from Mental Illness Each Year.” Newsweek.Accessed September 13, 2015. “The Dangers and Consequences of Marijuana Abuse.” (May 2014). Drug Enforcement Administration.Accessed September 13, 2015. Carson, E.A. & Sabol, W.J. (2011). “Prisoners in 2011.” Bureau of Justice Statistics. Accessed September 13, 2015. Lawrence, A. (December 2011). 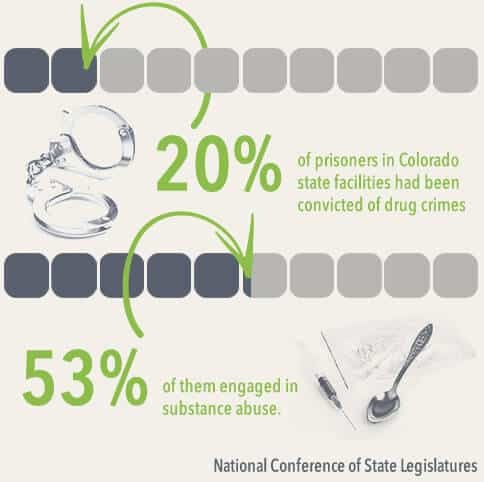 “The Dope on Drug Sentencing: December 2011.” National Conference of State Legislatures. Accessed September 13, 2015. Hughes, T. (2014 Dec 19). “Marijuana, heroin and meth spreading into Colorado’s neighboring states after legalization of cannabis.”The Independent. Accessed September 13, 2015. “Colorado Laws & Penalties.” (n.d.). NORML. Accessed September 13, 2015. “Colorado Heroin Laws.” (n.d.). FindLaw. Accessed September 13, 2015. Accessed September 13, 2015. “Colorado Cocaine Laws.” (n.d.). FindLaw. Accessed September 13, 2015. Accessed September 13, 2015. “Substance Use and Mental Health Estimates from the 2013 National Survey on Drug Use and Health.” (2014 Sep 4). Substance Abuse and Mental Health Services Administration. Accessed September 13, 2015. Kearney, L. (2015 Jun 17). “Drug overdose deaths rise across the United States: report.” Reuters. Accessed September 13, 2015. “Alcohol Use.” (n.d.). Centers for Disease Control and Prevention. Accessed September 13, 2015. “Alcohol-related deaths: How does your state rank?.” (2014 Jun 27). CBS News. Accessed September 13, 2015. Dukakis, A. (2014 Apr 29). “Denver Emergency Room Doctor Seeing More Patients for Marijuana Edibles.” Colorado Public Radio. “Substance Use Disorders.” (n.d.). Anxiety and Depression Association of America. “Substance Abuse Treatment Facility Locator.” (n.d.). Substance Abuse and Mental Health Services Administration.Accessed September 13, 2015. “Sober Living Directory.” (n.d.). Intervention America. Accessed September 13, 2015. “States in Brief: Colorado.” (n.d.). Substance Abuse and Mental Health Services Administration. “The Dangers and Consequences of Marijuana Abuse.” (May 2014). Drug Enforcement Administration. Bekiempis, V. (2014 Feb 28). “Nearly 1 in 5 Americans Suffer From Mental Illness Each Year.” Newsweek. “Training Requirements for CAC I, II, III.” (n.d.). Colorado Office of Behavioral Health.